I LOVE social media because I love to be social! I have thoroughly enjoyed getting to know many of my friends in new ways through their daily status updates, links to things they find interesting, verses they post, pictures from their daily life and interaction in my comments. I have connected with strangers on Facebook and Twitter, and those strangers – turned friends – have become real life meaningful friendships off-line! I LOVE that! To be honest, it has nearly eliminated all my phone time in the home. If I have something to say to a friend, I hop onto Facebook and Twitter to “chat”. I miss my friends who are not on Facebook (but respect their reasons) simply because I feel like I have less access to them. I have to remember to be sensitive to their feelings of being “left out”. I have gotten closer to some of my acquaintances who are regulars on Facebook and Twitter – cause that’s where I hang out when I need a break from cleaning, homeschooling or parenting lol! But it comes with some dangers. 1. Hurt feelings – I can’t tell you the number of times I’ve read a comment and have thought “What does she mean? Is she mad at me? Is she joking around? Am I being too sensitive?” Facebook comments are dangerous – beware and think before you type! I am sure that I am guilty of this too! Proverbs 26:18,19 says “Like a madman who throws firebrands, arrows, and death is the man who deceives his neighbor and says, “I am only joking!” Beware of comments that are sarcastic – you could lose a friendship over it! 2. Judging– I have friends who have quit Facebook because they struggled with the status updates of friends who they thought lived one way but they discovered lived a very different way. This is where sin and matters of liberty and conscience come into play. We must call sin – sin but give grace to our friends on matters of liberty. I will admit that when I see a swear word pop up – it mars my dear friend! Oh and those bikini photos – I’ll never understand…do you see how ugly those thoughts are that ooze so easily out of me. I must admit – I struggle at times. I have to continually consider – is it worth confronting or will I let it go – let it completely go. I am not on Facebook to be everyones Holy Spirit! That’s a really quick friendship killer! Which Satan thoroughly enjoys! John 10:10 says, “The thief comes only to steal and kill and destroy. I came that they may have life and have it abundantly.” Satan would love to use social media to destroy our friendships – but Jesus came to give us an abundant life. Do not let sinful judgement of friends destroy your friendships. Remember, we are all human on the journey toward sanctification and we are all in different places on our journey. 4. 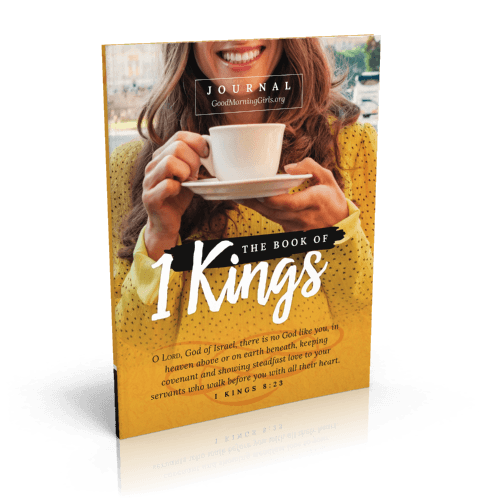 Jealousy – The comparison trap is just that – a trap! Pictures of vacations, new homes, new cars, or fun nights out with friends are a breeding ground for jealousy. There are two sides to this coin. First there’s the person putting the information out there. Is it wrong to show your vacation or fun night out? NO…but can we be sensitive to those who weren’t invited or who can’t afford a vacation this year. We don’t have to post every picture or every night out. Philippians 2:4 says ” Let each of you look not only to his own interests, but also to the interests of others.” This is one reason why I did not post my pictures from our Myrtle Beach trip or Willliamsburg trip this year on the blog. I want to be sensitive to the fact that not everyone will be happy to see those pictures. On the flip side, jealousy is all throughout the Bible and we see how deadly it is to all friendships. Remember Cain and Abel, Joseph and the coat of many colors, Haman and Mordecai, Sarah and Hagar, Saul and David, the Pharisees and Jesus. These are just to name a few, if we looked into it further we’d find many more relationships in the Bible that were ruined by jealousy. Jealousy comes when we take our eyes off of Jesus. 5. Inappropriate Relationships with men. I am in NO way suggesting that women cannot have healthy relationships with men. But for me – (again I am just saying this as my personal conviction) I have decided to not have friends on facebook who are male. I wrote an entire blog post here about this decision if you are interested. Social Media has GREATLY impacted my women friendships. We were created for relationship. God created Eve because it was not good for Adam to be alone. Outside of our husbands, we long for deeper friendships with women but sin has entered our relationships simply because we are all sinners. Some women hide behind the computer and chat all day on-line but never make real life friendships. I do it the opposite way. I take my on-line friendships and go deeper with them by having women into my home for bible study, creating Good Morning Girls groups where we email each other daily about the deeper things of God, I skype my on-line friends who are too far away to get together. I pursue real life friendship through Girls Night Outs and playdates in my home. My life is fuller because of my women friendships. I encourage you to pursue taking your on-line friendships off-line. Now it’s your turn – tell me – how has social media affected your friendships? 2.If you are not a blogger, join the discussion in the comment section! I look foward to hearing your thoughts. 3. If you use Facebook or Twitter, I want to encourage you to copy and paste this link from the browser on your status update and ask your friends to join the discussion. Beautiful post! This was one of my favorite topics! You shared with grace how to be alert to dangers along with ways to enhance our friendships through media. Blessings to you! Such a great post! So much truth and wisdom! Thanks! Your comment about bikinis was very convicting to me. I can’t for the life of me see how a Christian woman could wear a bikini. If modesty is described as barely covering up some of your privates, I guess that is how they would define it. BUT, I remember that it took me a long time to be convicted about that. Just like I have been convicted about most television shows where any type of immodesty is shown. This is where grace comes in. We are called to LOVE, not judge. You took the words right out of my mouth dear sister. I had to deactivate my account because of all the above and I felt dirty inside. I also was scolded via Facebook in front of my friends and family by a well intentioned person from my church which really hurt and embarrassed me. I would have been happy to take the thread down, because it did come off as snarky, even though my intentions were light hearted joking. The principle of Matthew 18:15, “If your brother sins, go and show him his fault in private; if he listens to you, you have won your brother” can save many unnecessary misunderstandings and bring restoration if need be. God bless you for the balanced post. I like your thoughts Courtney and the grace with which you shared them. Brought lots of smiles and nods of agreement. I’m not sure I have anything worthwhile to add on this one but I’ll think about it. I found this blog by accident while looking for devotions for stay at home mothers. I’m so glad I happened to “bump” into you. The irony is, I was actually considering deactivating my Facebook account because I’m just so disappointed in the shallowness of it all. I posted a question in the form of a note asking if others ever considered deleting their accounts and got several replies as to why Facebook is more positive for our relationships than negative. I suppose with all things, there are two completely different poles. For the time-being, I’m keeping my Facebook account simply so I can receive the bible studies and your updates. (-: Thank you for posting this, it helped me decide to stay on Facebook and to be part of what keeps Facebook positive. Great post as always, Courtney! Thanks for sharing your heart and wisdom. Blessings for a beautiful day! Great post! I came to your blog through a friend’s FB post…how appropriate. I, too, love FB. Can’t really get the hang of Twitter, even when I had a business and needed to tweet for the shop. I have come across two problems, both that you named. I don’t understand the bikini pictures, either! And hurt feelings…wow, I found out my own sister blocked me and has since been lying about it. I am sick to my stomach about it. I actually asked her if she left FB and she said “yes.” I don’t even know what to do with this. As much as I’ve enjoyed FB it has hurt me so much that I sometimes just think of turning it off. I’ll be back. Love your blog! Oh, and I forgot…FB should really come up with a sarcasm font or something! It would probably be a much funnier place if we could all be assured that our tone came across properly. We have to remember that Social Media is a new space for many and there needs to be patience & grace while people navigate this space and discover for themselves what they’d like to use it for. I like what Courtney shares, “I am not on Facebook to be everyone’s holy spirit.” Among many other great points. Yep…all of these are true! I have felt every emotion you have listed Sister! On the flip side, there have been many blessings due to Social Media for me too though! It is such a neat thing, isn’t it? But, tough skin is needed! haha. Love ya! This is very timely…thank you for sharing! Courtney, thank you so much for this timely post! I have struggled with several of these including being jealous of others, judging, and being quick to type, and not to think about what I am actually saying. Thanks for your opinion of it all, definitely gives me something to think about! This is a very good article and very informative. Jesus said if your right hand offends you cut it off. For it is better to enter heaven with one hand than have the whole body cast into hell. Let’s translate that to today and social media. If the material on Facebook, Twitter, etc.. offends you, deactivate your account! If you are a Christian, you are called to be salt and light. Will there be friends on Facebook or Twitter that will show some obscene pictures? Of course, but we are called to be salt and light. How? Not through commenting on that person’s posted picture and telling them to take it down. Let’s use wisdom folks! Use Facebook to tell others about Jesus and focus on speaking the Word of God through your status updates and you will not be so concerened about or ENVIOUS of what other people have. I love this. We just went away and I decided to only post only a few pics of historic homes or pics of the kiddos, because not everyone can do this and I thought the same thoughts about making others discontent, or that maybe it would come off as “braggy”–not something that becomes a Christian. We are here to build others up, not tempt them. Love that you are so sensitive, Courtney, to the needs of others. Great post! I am a forum moderator for a wonderful website called hannahsprayer.org. It is for Christian women who have experienced any kind of infertility or loss. It is SO hard for so many of the women to be constantly reminded of the blessings other women get in being pregnant. While it is good to share your good news and reasonable to expect people to rejoice with you over your blessing from God. It is also nice if we are sensitive to those who are not blessed in the same manner and not make daily references to your pregnancy. Courtney, I completely appreciate the thoughts you shared in this post. You provided a good check and balance on how to navigate social media — as a real woman with real insecurities. I especially resonated with your comment, “When I feel discouraged by things happening in the social media world I always come to a point of realizing…I have taken my eyes off of Jesus.” This is exactly what the Lord has been impressing on me — and the solution, for me, is to step away, click close on Facebook or Twitter, and breathe away from social media for a time…sometimes a couple of hours, sometimes a day or two, and occasionally for a media fast. Each time, the Lord uses my redirected focus on Him to bless me with His peace, presence, and new perspective. You covered it all. I love how transparent you are in your articles. Your bit about jealousy was good for me to read. My husband’s uncle is also his boss, and when I see them going on expensive vacations when my husband doesn’t work Fridays because of the economy I have a hard time with it. I’m really broken about this issue, and other than hiding them from my feed (which I have done), I don’t know how to handle it – in my heart. I really am enjoying your series on this…it is thought provoking and helping me to really think before I do many things online. Last year, I made a blunder and posted something insensitive on FB and my husband later saw it and was very disappointed with my status update. He was right…it wasn’t horrible but just not sensitive. Anyway, he started subscribing to my updates to be sure to keep me in check, which he told me about weeks later. It actually has been very good – knowing that my husband is really taking care to make sure his wife is appropriately “speaking” and I am much more careful with what I say, knowing that as soon as I post something it goes directly to his cell phone 🙂 He’s a good man and is being a good spiritual leader to me. You’ve presented your observations here so thoroughly, I’ve to commend you for that. I used to be completely ignorant about social media, but in late 2010 while recuperating from a long illness, I discovered Twitter. I started a Twitter account, though cautiously, and shared the lessons I learned through my walk with Christ. Then, I wanted more. I wanted to share the amazing testimonies of God’s miracles, wonders & mighty deeds in our Church. Then I created an FB account, hoping that I could use it to write articles (I still didn’t know about BLOGGING), but when I opened my account after a few hours of creating it, I saw messages and pictures and questions such as, “Are you looking for relationships?”, I was so scared I deactivated my account right then and there and never dared to open another one. Then, I stumbled upon blogging through a tweet. I created a blog about TESTIMONIES and Minister of Mercy was born. Later on, I created another blog to share my meditations on the Scriptures, life lessons and inspirations, and Healing Moments was born. Through the constant guidance of the Holy Spirit, I do my best to stick with my original purposes in maintaining my blogs – to encourage and inspire, and help bring people nearer to Jesus. But I also developed friendships through my tweeting and blogging, and I hold them all precious to my heart. And they, and all who read my blog, are included in my daily prayers. They color my world here :-). Their friendship warms my heart and for that, I’m GRATEFUL to the Lord. Thank you, Courtney. May God bless you more! 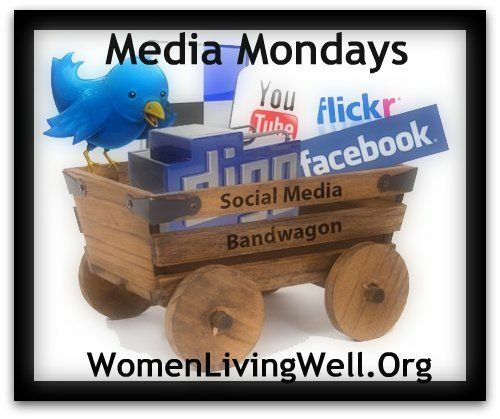 It took me awhile to jump into social media just b/c I thought it would be a time waster. But I’ve found it is a great way to connect quickly, build relationships and encourage others in just a sentence or two. It still is something I have to guard my time w/ and continue to balance, but I think the good far outweighs the bad. I have to say, this was an excellent, honest post on the subject! I really appreciated in! I linked up below but can’t seem to get your button to work (probably my computer…. :S), so I’ve linked up in text form for the time-being. Hope that’s okay! Overall, FB has been great for me. I am really gotten to know people in my life. I’ve reconnected with long lost friends and made online friends. FB has filled a social need for me. Unless I know someone really well I tend to be quiet and shy. With FB I can just be myself and that feels good. The downside is, I have struggled with jealously. That is probably my biggest struggle. FB to me is personal, Twitter is more about life. I follow interesting people and people who have the same interests as me. Although, a few have become online aquaintances and that is fun! I really appreciate your honesty in this post. I had a facebook account through college. I actually had one when it was only open to college students. At the beginning it was a great way to connect with friends from high school or others in my classes. I really enjoyed it. Although, facebook has now become the only way to communicate with certain friends and I don’t think that’s healthy. Plus I’m not a huge fan of a lot of the other downfalls of facebook so I deleted my account over a year ago. I loved this and it was a good reminder of things I have been convicted of in the past. I read it to my teenage daughters too. Learning so much from all you share. Thank you for your ministry, Courtney! I truly appreciate your wisdom, and the insight you share here. I appreciate your willingness to tackle this tough subject. I do have a concern with one thing you said, “I miss my friends who are not on Facebook (but respect their reasons) simply because I feel like I have less access to them.” To me, that sounds like you are saying that you do not have a choice in the matter (of having less access). Is it possible that you have just as much potential access but you choose not to make the extra (and inconvenient) effort to communicate with them as much? This is a concern of mine, that friendship is being redefined to mean that friends who don’t use social media are less valuable or significant because it is inconvenient to communicate with them. I have personally heard of organizations and individuals who say, “I only communicate via Facebook.” What does that say to a friend or potential group member who feels convicted not to have a Facebook account? I think it says, “We can’t be bothered to make any extra efforts to communicate with you in some other way. You are not important.” And that hurts my heart. I have loved this series so far. Really thoughtful, really REAL, things to chew on. I have appreciated this and been convicted by it – and encouraged all at the same time. Thank you for digging into this and presenting it in truth, in love. GOOD STUFF!!! I love this post! It is so important to treasure and build our friendships and social media can help us do that! Also… major props for not being friends with the guys via social media.. I agree that its a great way to protect a marriage.